All the items I received were very nice but I must say that the tote bag is my favorite item. 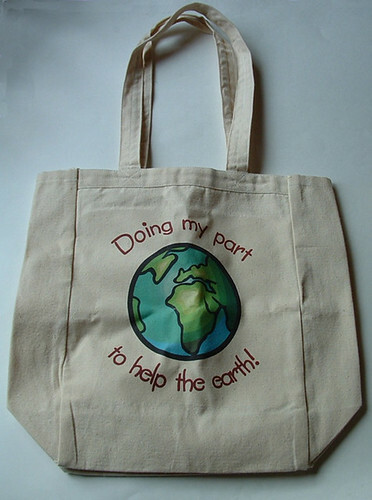 While I love making my own recycled bags, I am really going to enjoy using this beautiful tote bag with its great eco message. 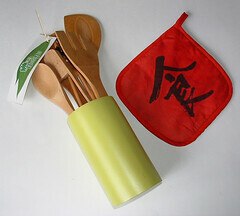 So if you are looking for some green gift ideas, please check out Dakota’s green living line of products. Wonderful review products. Will they be hosting a giveaway too? You are truly inspiring. @ Tami — Not sure if they will be hosting a giveaway but it is a wonderful idea. Glad you stopped by and shared your thoughts. I like the totebag and in fact I have several like it that we use for grocery shopping and for all kinds of shopping. We don’t use plastic bags at all. We bring our own cloth bags along when we shop.